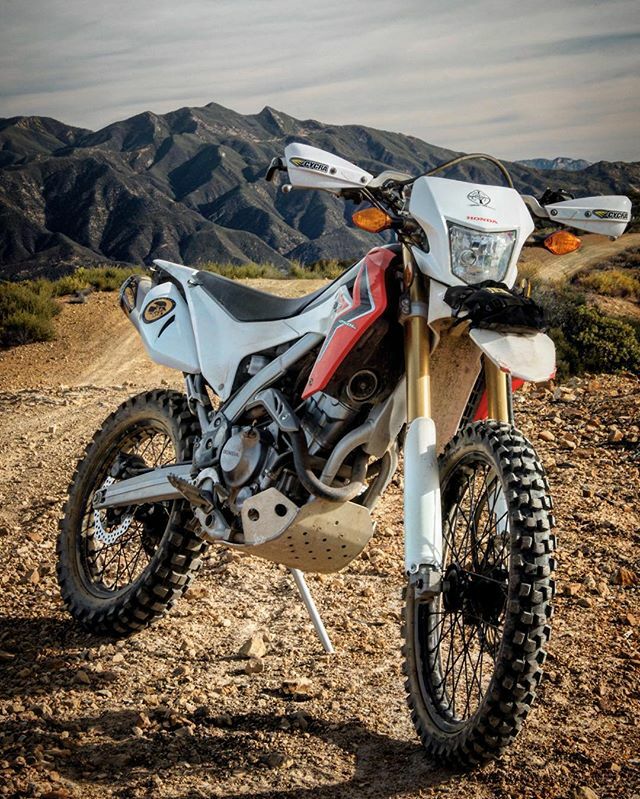 Growing up, I always heard stories from my dad about him going on family moto-adventures down in Baja and in the mountains and back-country of Santa Barbara, CA. Those stories always intrigued me, but they were somewhat darkened as my Dad was involved in a major motorcycle accident when he was young, where a car that had run a red light t-boned him and he nearly lost his foot. In that way, motorcycles always had a negative association, a shadow over them. Always stoked in the water. Living my whole life near the ocean, surfing, photography and travel had always been my main passions. I made it my purpose to always be close to the coast. That lead me to join the Coast Guard, where I spent 8 years on cutters and small boats, traveling thousands of nautical miles to 15 countries, and across the equator and the international datelines. These patrols would take me away from my newly wed wife for 3-4 month at a time. out on patrol in the Santa Barbara Channel. I got to go to a handful of my bucket list countries and surf some of the best waves in the world in places like Tahiti, French Polynesia, Palikir Pass and FSMC (Federates States of Micronesia), even Japan and Russia. During these times, surfing and photography were my outlet. Back in 2012, after our first son Joshua was born and having missed an entire season of waves because of the fickleness of weather and now restrictions on schedule, I needed a new outlet. I needed something that was consistent, that would satisfy my need for exploration and adrenaline. The stay at home Dad life. One evening while browsing through Netflix, I came across Ewan McGregor and Charley Boorman global moto adventure documentary Long Way Around and quickly got sucked in. Fueled by that and stories from my friend David Dobson’s moto trips to Morocco and Egypt, I had made up my mind that this was something I was going to pursue. 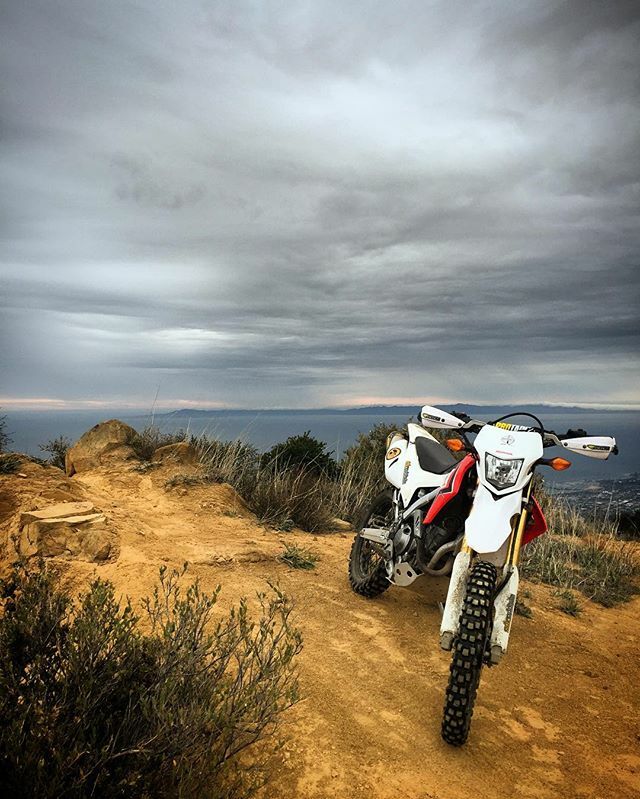 A few months later, after some research, I purchased my first motorcycle, a 2014 Honda CRF 250L. I had literally never ridden a motorcycle before the purchase. I remember the first time taking off on my bike and all of a sudden every street that I had gone down in my town was brand new; every corner and back road that I had driven on dozens of times before seemed like a new adventure, and all of a sudden I was in Morocco or cruising through some African dirt road in my mind. 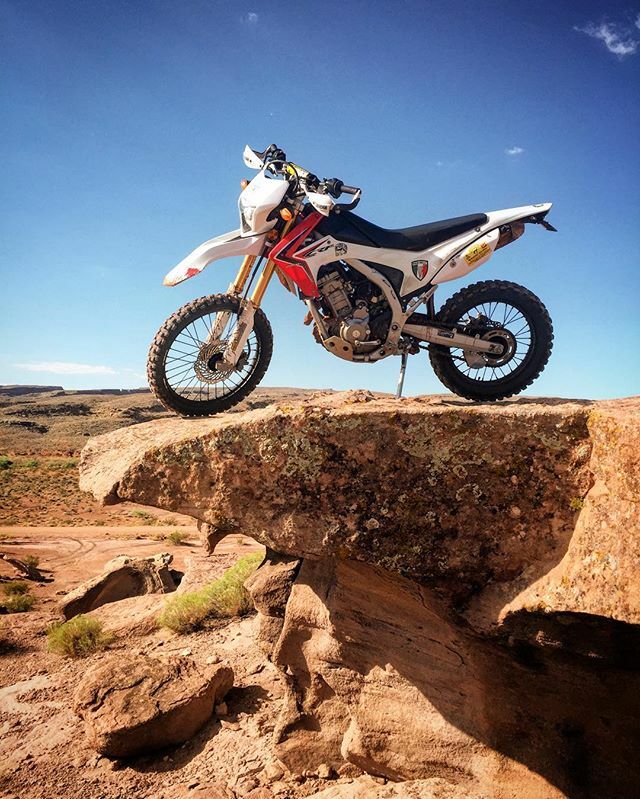 The world of dual-sport motorcycles made the ordinary a new and exhilarating adventure. 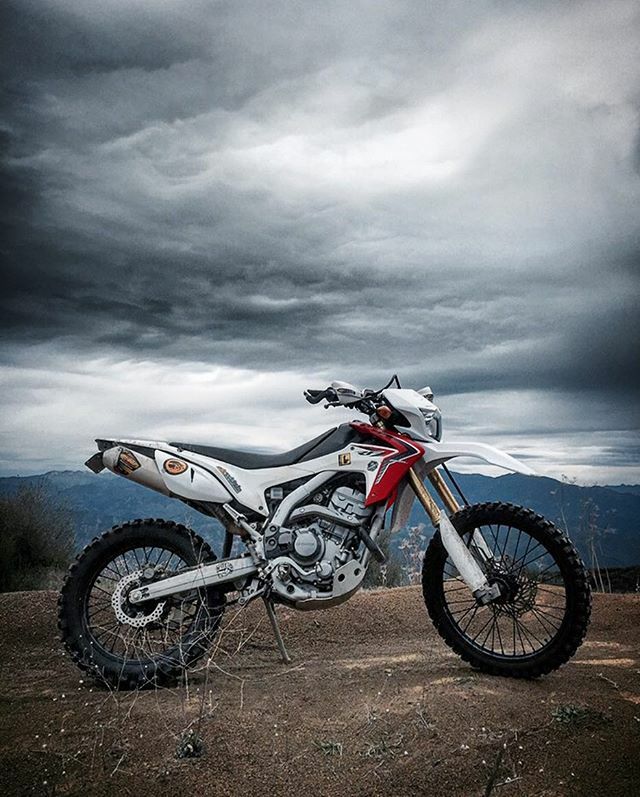 I started taking photos of my bike on the little adventures I would go on and posting them on Instagram. It was there that I came across the WLF pack feed. Their photos were constant fuel and inspiration for my rides. They really spurred me to want to push my moto skills and branch out to new terrain. Recently I had the pleasure of linking up with the WLF-Pack on Operation 2 Wheel Freedom, a military veterans ride they hosted on their So Cal home turf. On my drive there, I remember feeling slightly nervous about riding with these skilled and seasoned riders. What was I doing driving to the desert to meet these people I only knew through Instagram? It did not take long for me to realize how generous and down to earth this group of guys was. There weren't any egos - everyone was super accommodating and patient, giving me pointers along the way, keeping the pack tight. 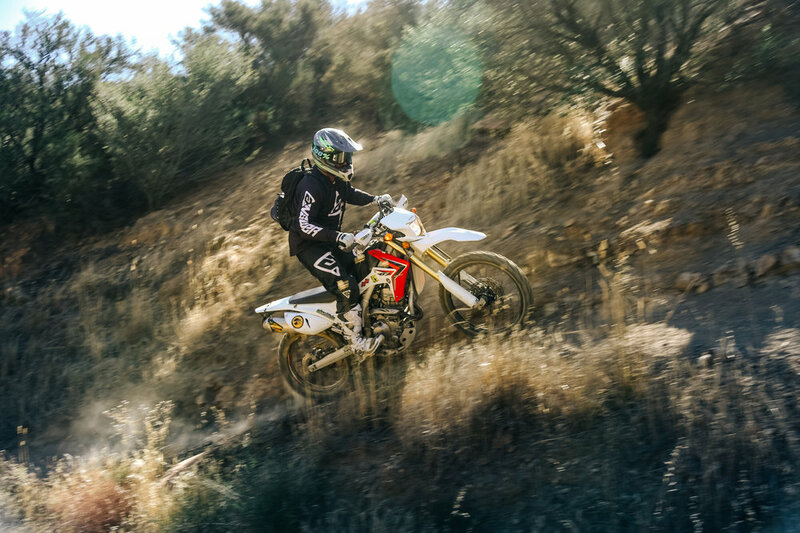 They took us through some of the most beautiful riding trails Southern California has to offer. 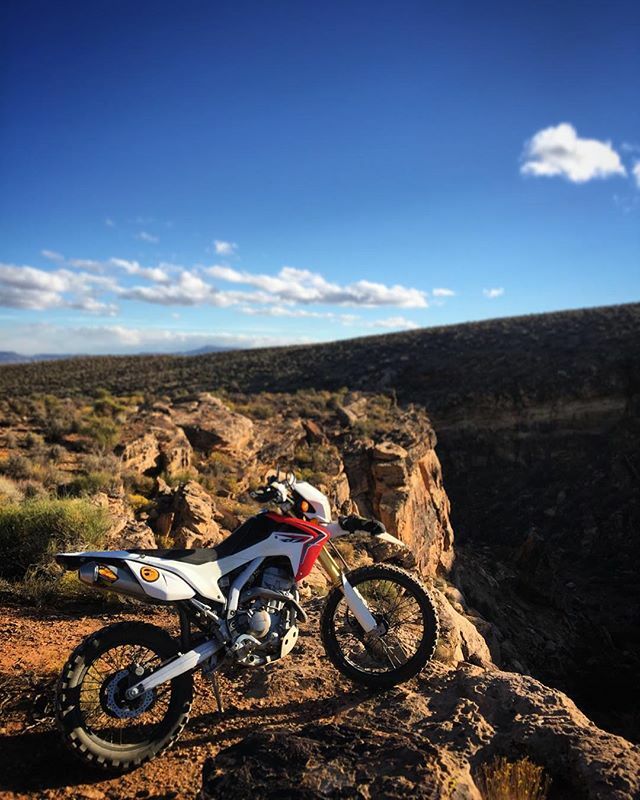 Throughout the day we were able to go through every type of terrain available, which was both challenging and exciting to a new rider like myself. 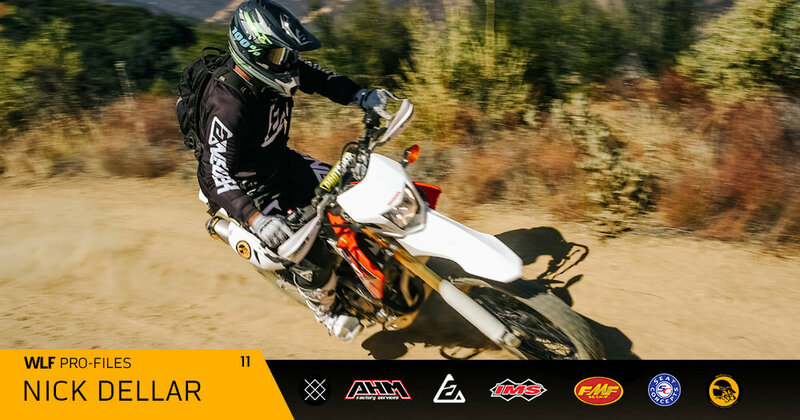 The WLF-Pack does an incredible job at bringing the whole moto-community together. That ride truly demonstrated their ability to unite complete strangers who all share one passion. And it was a complete blast. Trying to keep up with the Pack. 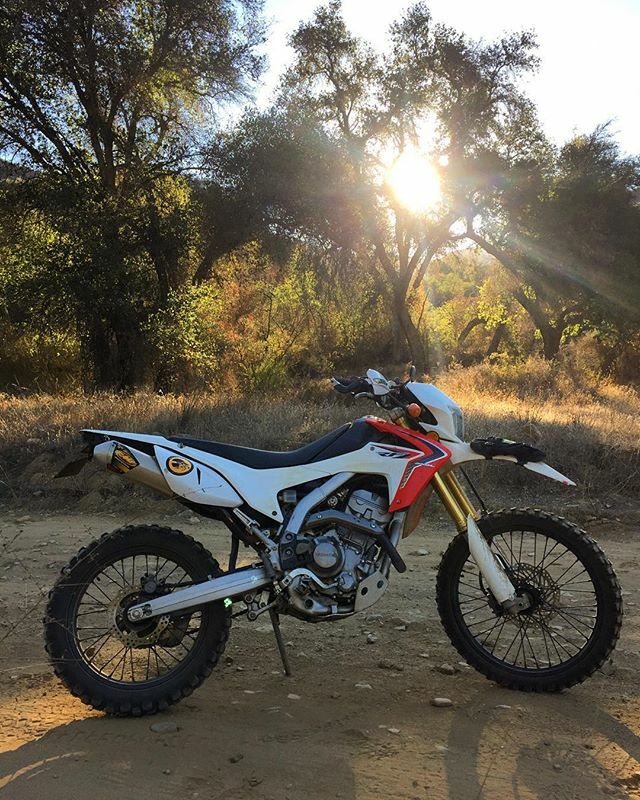 Currently, I am enjoying quick day-rides up to Divide Peak, the trail above my home in Carpinteria, and continuing to learn new skills and techniques. The Honda, which is sometimes I feel a little under-powered and heavy, has been a great beginner bike for me. I’ve never really been too mechanical, or never grew up working on cars or bikes, but I’ve enjoyed learning and modifying my bike along the way. Can't imagine riding without my IMS Footpegs, they take comfort and stability to a whole new level. It’s been therapeutic and there is something pretty magic that happens when you turn on some good music and start wrenching around on your bike. Recently, my family and I have been presented with the opportunity to move back to Hawaii. My wife and I had been stationed there right after we were first married and are currently making the preparations to move back. We couldn’t be more excited. 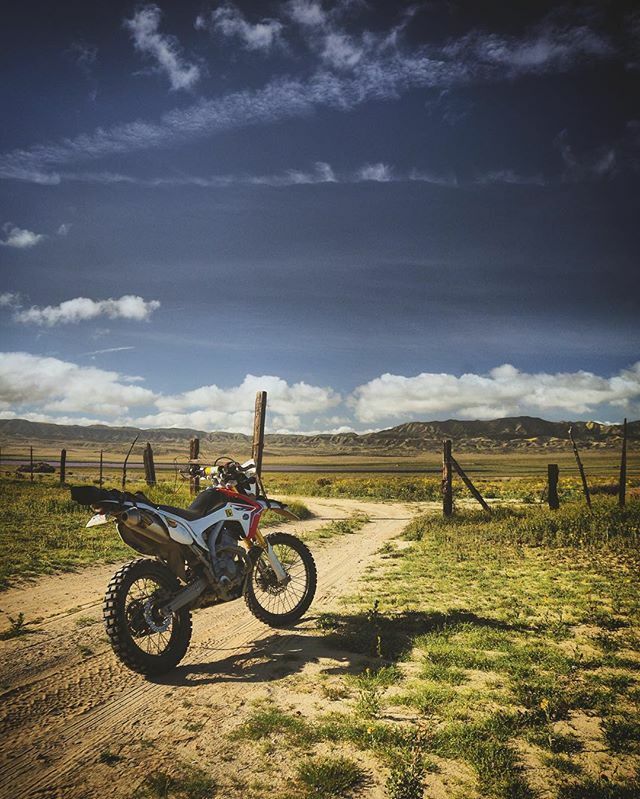 Even though I will miss the wide open spaces that Southern California has to offer, I look forward to exploring new trails and linking up with an entirely new moto community and culture on the island of Oahu. All in all, I never expected that in my thirties I would find a new passion and culture that I would feel so connected to, that could bring me such freedom and a new sense of excitement. I feel honored to be a part of such a cool community, locally and globally. As far back as we can remember Nick has always been a massive support of the WLF mission. He's always had a rad balance of moto, surf & family. His amazing skills behind the camera set him apart on the social media landscape. 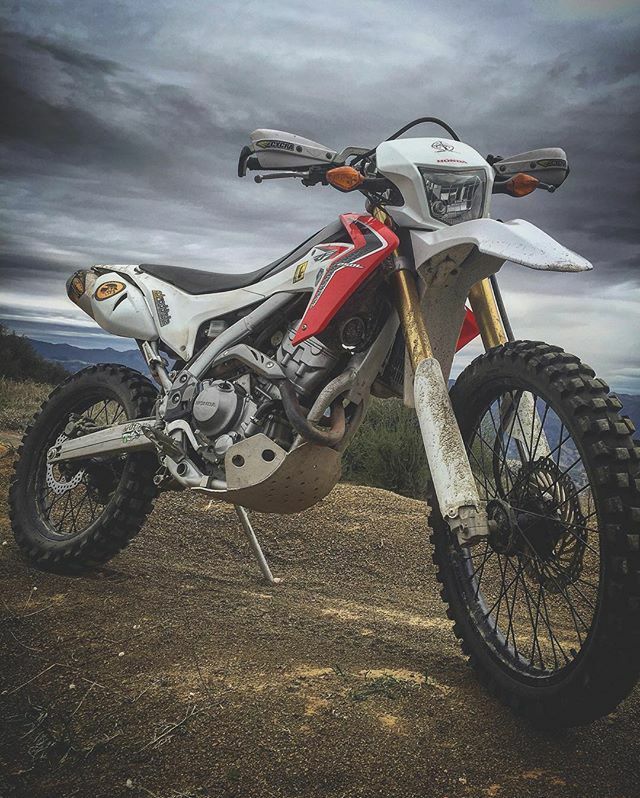 Those 250L photographs have been shared by every moto-enthusiast channel and gallery out there. Humble and ready to rip, Nick is a good man and an awesome part of the pack. We're stoked to visit him on the islands soon! Keep kill'n it brother! Make sure you're following @NickDellar on the gram!